Around the Loi Suites Hotel in Puerto Iguacu. It is amazing to see what human ingenuity and vision carved out of the jungle! Now, after refreshing your body and soul in the infinity pools and a romantic night with colorful dreams there is a time to see the area around the hotel. There are several stone-paved walkways meandering through the beautifully arranged landscape. Walking along them you will see blooming bushes, exotic trees and in general a lot of lush vegetation – a home to birds and at the right time – clouds of butterflies. Frankly it is difficult to distinguish if this is a case of the hotel infringing on the jungle taking over the land belonging to the nature, or this is a nature encroaching on the property of the hotel. Man made structures and nature - all is mixed up and a kind of flourishing “symbiosis” probably taking an example from well co-existing epiphytes you can see all over around. To start the exploration of the area first we have to take the suspended bridge(canopy walk), then we can take one of the stone-paved walkways gazing at blooming bushes along the way. Orchid Trail next to the hotel reveals the nearby wilderness. The trail down to the Iguazu River. You can take a funicular (if it works) or walk down the slope to the floating platform on the river. This is a short trail from the hotel grounds – at the beginning manageable for even less adventurous guests. You will see a lot of epiphytes, some part of the nature, some by human hands. 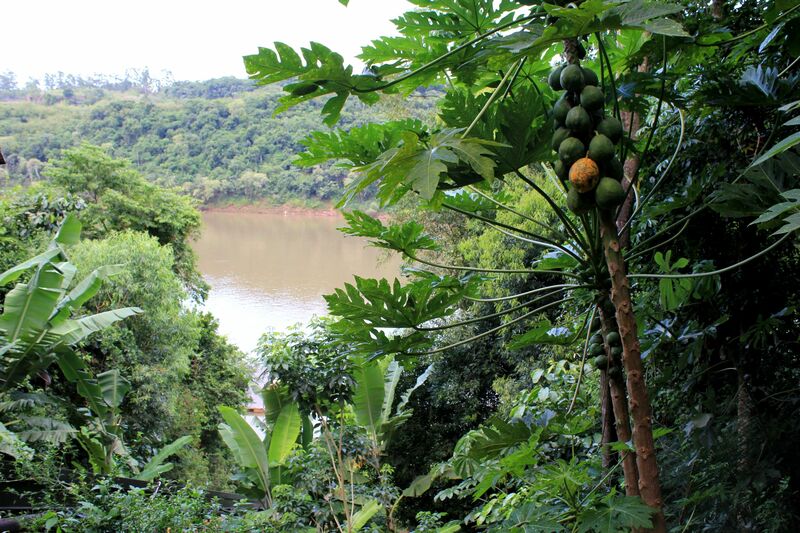 It will give you a good idea of what the subtropical rain-forest is all about. The path quickly narrows - either the nature is re-conquering what belongs to it or simply the path is not finished yet (Iguacu Falls Loi Suites hotel is a relatively new addition to the jungle). Although you may really experience there the true wilderness in the close proximity to the hotel, it will take more physical effort and first of all courage to keep moving forward. The long set of wooden walkways leads you to the station of the hotel-operated cliff-railway. From here you have the choice either to take the path of countless stone-reinforced steps to go down the steep slope or to take the funicular cart. At the time of my visit I had no choice but to walk down and up as the funicular was out of service. 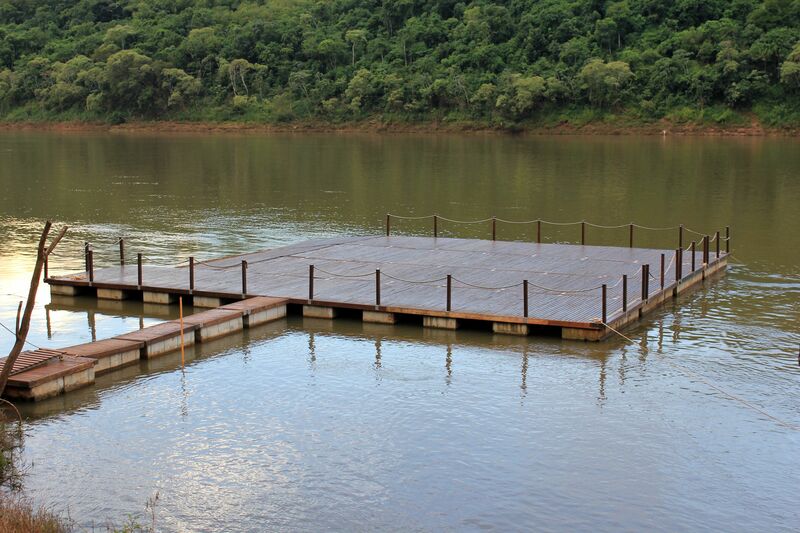 Down on the river there is attached a large floating platform. 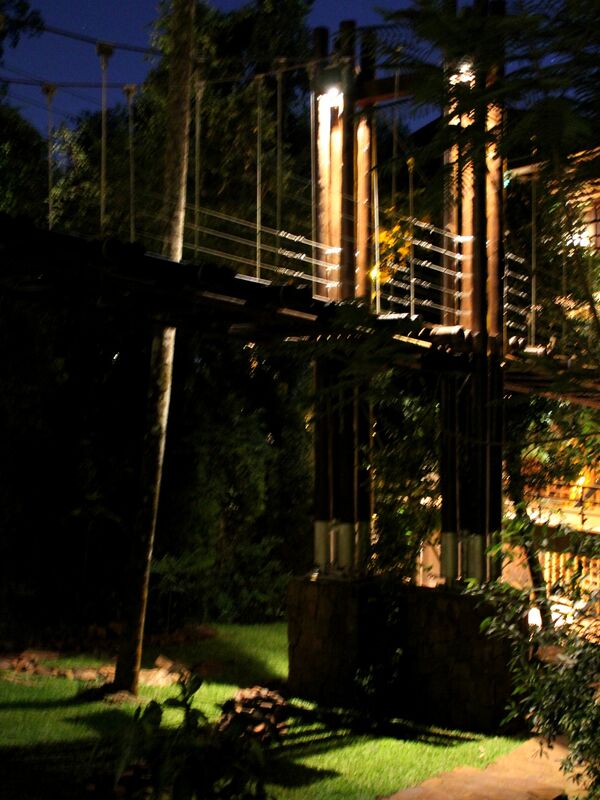 You can either stay there gazing at the Iguazu waters, watch birds or rent a kayak and adventure along the river. This will be certainly a rewarding experience because the area seems to be part of an unspoiled wilderness, quite far from the hotel. The entry to this trail is outside of the hotel grounds although still within the land managed by the hotel. 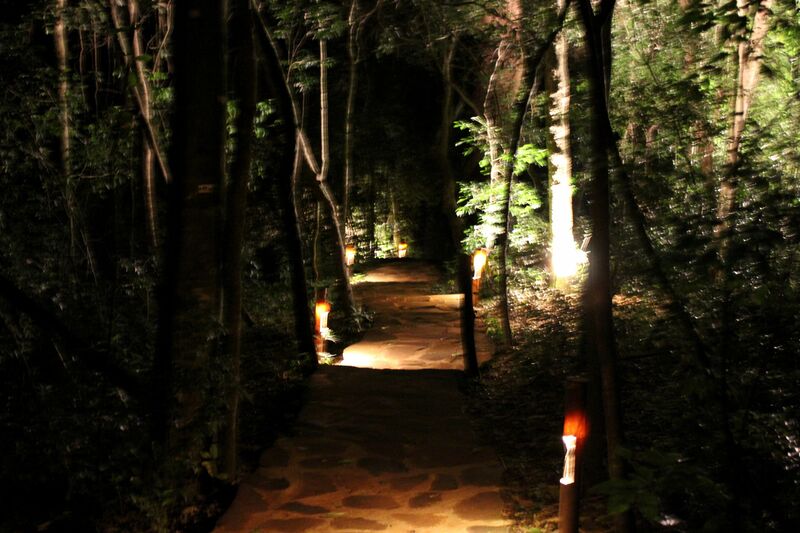 It starts with the beautifully romantic path paved by the slices of red-wood trunk. After about two hundred meters into the rainforest (six hundreds yards) you will find the small statue of Virgin Mary that as it is believed on November 27, 1830 appeared to St. Catherine Laboure of France revealing her the Miraculous Medal. That is why at the base of the statue there is an inscription: Medalla Milagrosa (Miraculous Medal). For those wanting to spend here some time for reflections there is a little bench to sit on. The path continues farther into the jungle loosing its romantic character and well maintained shape and slowly converting to natural forms of the surrounding rain-forest. Well, so we made the tour of the Loi Suites Hotel main buildings and room, we took a swim in the infinity pool, we spend some time wondering around and exploring the wilderness, so I guess it is a great time for the Free Loi Suites Hotel Iguacu Falls Pictures to show you something for your stomach (restaurants and bars) and body & soul (spa).